Ever since my first week at the Port Townsend Marine Science Center, I have been participating in the Puget Sound Seabird Survey. 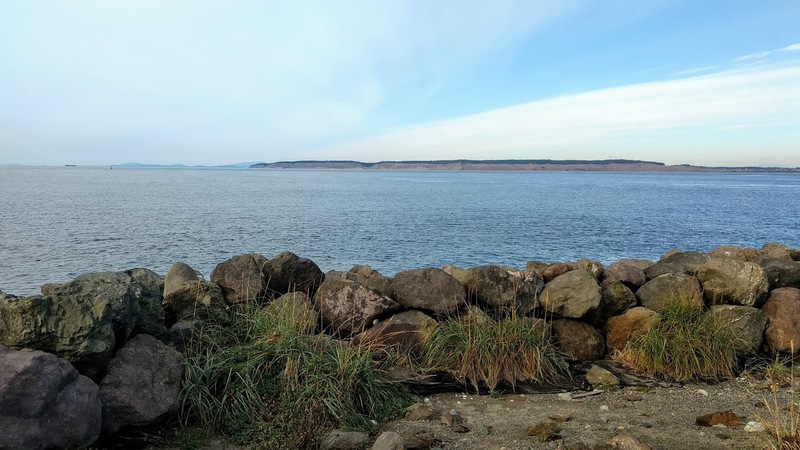 The PSSS, managed by Seattle Audubon, is a monthly shore-based survey that runs every year from October to April at over 120 locations throughout Puget Sound and the Strait of Juan de Fuca. One of the main goals of this survey is to collect long-term data that allow us to estimate the size of local seabird populations. This is important for two reasons. 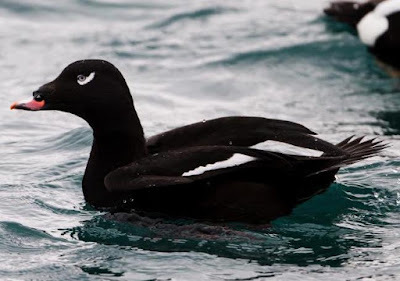 First, it gives us a better understanding about the seasonal trends and community composition for the seabirds inhabiting Puget Sound and the Strait of Juan de Fuca. Second, if there is ever a man-made or natural disaster, subsequent surveys will show us how these seabird communities have changed compared to those before the disaster. Besides its ecological importance, another great thing about the PSSS is that it is conducted by over 200 citizen science volunteers. Whether you are an expert or beginning bird-watcher, everyone who is interested is invited to be trained by Seattle Audubon. 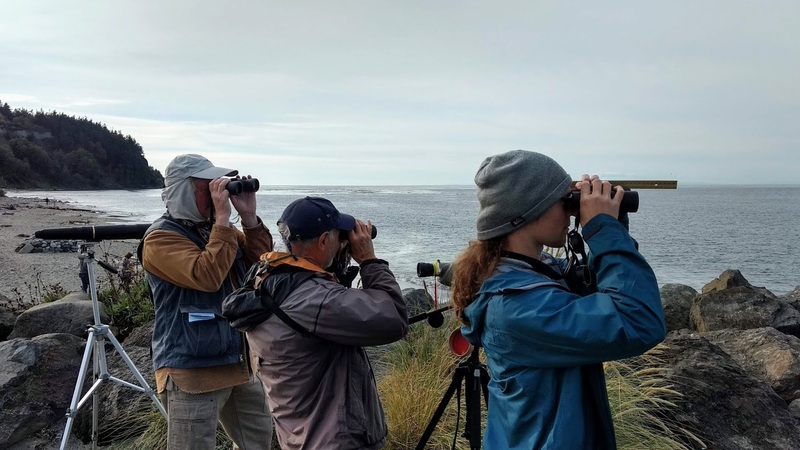 Because it is open to virtually anyone willing to learn the protocol, Seattle Audubon has a plethora of volunteers that are capable of collecting data over a vast area of the southern part of the Salish Sea. Plus, because it only occurs once a month, there is no large time commitment involved. In order to collect meaningful data, the PSSS always occurs on the first Saturday of each month within a pre-determined four-hour window. Because each survey team conducts their survey on the same day at relatively the same time, it reduces the chance that any bird is counted twice at two different sites. Each survey team aims to conduct their survey during -- or close to -- high tide, within the four-hour window, so that the birds are closer to the observer and therefore easier to identify. In order to actually estimate the density of seabirds in a given area, the PSSS utilizes a method known as distance sampling. Distance sampling is a commonly used method for surveying animals in an area in which you cannot directly observe and count them all. It operates on the assumption that that chance of observing an animal decreases as the distance from the observer increases. Essentially, if we count all of the seabirds that we can see on the water and measure their distance from us, we can estimate the actual number of birds in the area, even the ones we didn’t see. Admittedly, the actual math that goes into estimating the distance from observer to a seabird, as well as their actual density, is discussion best saved for another blog post. Personally, I am a part of the team that conducts the PSSS at Point Wilson, just under a mile north of the PTMSC. Our last survey took place on January 5, and while there weren’t a large number of birds present, we were treated to a good diversity of species. 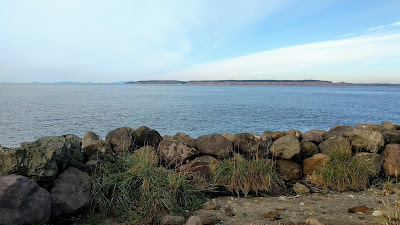 These included horned grebes, a common loon, pigeon guillemots, red-breasted mergansers, a pelagic cormorant, surf scoters, a mew gull, harlequin ducks, buffleheads, a glaucous-winged gull, marbled murrelets, a double-crested cormorant and a white-winged scoter. Regardless of how each survey goes, I am always eager for the next one!